There wasn’t much news on Adam Jones’ market this winter, though ESPN.com’s Buster Olney tweets that the Giants and other teams were interested in the veteran outfielder earlier this winter at a price tag of around $2MM-$3MM on a one-year contract. Jones was looking for more at the start of the offseason, though ultimately landed a contract in that range, agreeing to a one-year, $3MM deal (with $2MM more available in incentives) with the Diamondbacks. The Giants were a logical suitor for Jones given their unsettled outfield, and San Francisco ended up landing a number of veteran outfielders (Gerardo Parra, Cameron Maybin, Craig Gentry) to minor league contracts, rather than give Jones a guaranteed Major League deal. Given the timing, it seems like the Giants decided to move on from Jones rather than wait to see if his price dropped. Felix Hernandez is entering the last season of his seven-year, $175MM contract, and while the veteran righty obviously won’t receive anything close to that salary in his next contract, it increasingly seems like it will be his last year altogether with the Mariners. As Ryan Divish of the Seattle Times puts it, “neither side seems interested in continuing the relationship” beyond 2019, creating the possibility of an awkward exit for one of the franchise’s greatest players. After injuries hampered Hernandez’s effectiveness in 2016-17, the 32-year-old suffered through the worst season of his career in 2018, posting a 5.55 ERA over 155 2/3 innings. 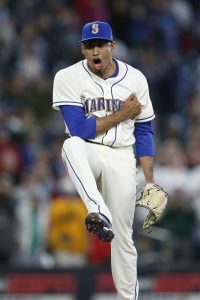 As a result, Hernandez has been dropped to the fifth spot in Seattle’s rotation, thus ending his streak of 10 consecutive Opening Day starts. There appears to be some hard feelings on Hernandez’s part about missing the opener, admitting to reporters that he was upset about the decision, though adding “I’ve got no comment to that,” when asked to give further details. Mariners rookie right-hander Gerson Bautista left today’s game after suffering an injury to his upper arm and/or pectoral muscle. (MLB.com’s Greg Johns was among those to report the details.) There’s no word yet on the severity of the injury, though Bautista left the mound in visible discomfort. Bautista was part of the trade package acquired from the Mets as part of the Robinson Cano/Edwin Diaz trade, and the 23-year-old has been making a good case to win a bullpen job during an impressive spring. Top Angels prospect Jo Adell will be out of action for 10-12 weeks after suffering both a Grade-2 right ankle sprain and a Grade-1 left hamstring strain, the team announced (Twitter link). Adell was a consensus top-14 prospect in preseason top-100 rankings, with Baseball Prospectus going as far as to rank Adell as the second-best prospect in all of baseball. The outfielder was expected to begin the year at Double-A, though Adell will now be force to miss a a big chunk of his third pro season. After several days of anticipation, the Mariners and Mets have made what will surely be one of the offseason’s biggest moves official: Seattle has traded second baseman Robinson Cano and closer Edwin Diaz to the Mets in exchange for outfielder Jay Bruce, right-hander Anthony Swarzak, right-hander Gerson Bautista and prospects Jarred Kelenic and Justin Dunn. Beyond the contractual values changing hands, the Mariners are sending a reported $20MM to the Mets to help offset the remaining $120MM owed to Cano through 2023. That said, the blockbuster swap will still save the Mariners a reported total of roughly $64MM. With the $20MM sum spread in approximately even amounts during the remainder of Cano’s time under contract, per Ken Rosenthal of The Athletic (via Twitter), the move will leave the Mets’ 2019 payroll in more or less the same position it was beforehand. It’s a stunning move from multiple angles. Mariners general manager Jerry Dipoto denied reports early in the offseason that he was considering a tear-down of the Mariners’ roster but, in the month or so since making that comment, has now traded James Paxton, Mike Zunino, Alex Colome, Cano and Diaz — to say nothing of a Jean Segura trade to the Phillies that is reportedly nearing conclusion but has yet to be formally announced. Meanwhile, the Mets, who’ve typically operated with a far tighter budget than one would anticipate for a club in that market, are taking on a huge amount of money in order acquire Cano and Diaz, and they still have ample work to do to address holes elsewhere on the roster. The deal is all the more fascinating when observing that newly hired Mets general manager Brodie Van Wagenen was formerly one of the game’s most prominent agents and that the largest contract he ever negotiated was none other than Cano’s 10-year, $240MM deal with Seattle. Cano, who had to waive his no-trade clause to green-light this deal, will head back to the city where his big league career started and figures to supplant Jeff McNeil as the Mets’ primary second baseman. It’s a tough pill for McNeil to swallow after he hit .329/.381/.471 as a rookie, but he should still be in line for plenty of at-bats. The Mets could well give him a significant amount of work at third base, depending on the organizational plans for Todd Frazier, and McNeil has seen brief minor league work at shortstop, first base and in the outfield as well. At one point, the Mets were reportedly debating the possibility of sending McNeil to Seattle as what would’ve been a key part of this swap, and the fact that they were ultimately able to keep him is a critical factor when taking a step back and even attempting to evaluate the complex transaction. It’s also important to emphasize that while Cano’s contract, like any 10-year free-agent deal or extension, was an obvious overpay at the time, he’s not an entirely sunk-cost acquisition. 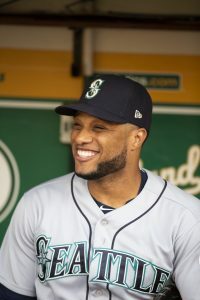 Though he served an 80-game suspension following a failed PED test last year, Cano hit .303/.374/.471 with 10 home runs through 348 plate appearances on the season as a whole. Some will point to the suspension in an effort to invalidate his output, but Cano was actually better at the plate upon returning from that ban; in 179 PAs down the stretch, he hit .317/.363/.497. There’s also been plenty of talk about his defense, but the notion that he needs to move to first base because he’s no longer a quality defender at second base carries little weight. Since the 2012 season, Cano has received negative marks from Defensive Runs Saved and Ultimate Zone Rating just once (2015), and he tallied +4 DRS and a +2.8 UZR in 561 innings at the position this past season. Of course, while Cano was still an extremely productive player when on the field in 2018, it’d be foolish to simply expect that he can continue playing at that pace in 2019 and beyond. The eight-time All-Star turned 36 in October, and he’s already outperforming the typical aging curve that one might expect for someone who is well into his mid-30s. While he may prove to be an anomalous exception in that regard, history suggests that Cano’s production will begin to deteriorate sooner rather than later. If the Mets were even able to receive two strong seasons out of Cano, they’d likely consider that a victory. There’s little doubt, though, that the final two to three seasons of Cano’s contract won’t be worth what they pay him — even with Seattle picking up a portion of the tab. Really, though, the trade was less about the Mets hoping to catch lightning in a bottle with the final couple of productive seasons of Cano. For Van Wagenen and the New York front office, this trade was a means of effectively purchasing four below-market seasons of one of the game’s premier young relievers. The 24-year-old Diaz just put the finishing touches on a historically dominant season — 1.96 ERA, 15.2 K/9, 2.1 BB/9, 0.61 HR/9, 44.4 percent ground-ball rate, 57 saves — and missed arbitration eligibility by a matter of weeks. He’ll make less than $1MM in 2019 and can be controlled for a fraction of his open-market price through his three arbitration years. However, Diaz won’t be the typical bargain that many associate with arbitration-eligible players. His enormous save and strikeout totals should push him into record-breaking territory among relievers, and it’s conceivable that he’ll be paid in the $8-9MM range for his first arbitration season in 2020 — assuming another productive campaign in 2019. Like most arbitration-eligible stars, he’ll still be highly valuable asset, but the real question of this trade is just how much surplus value comes with Diaz and how confidently one can project him to maintain his dominance. One could argue that the four years of Diaz being acquired by the Mets is worth anywhere from $60-80MM (if not a bit more), and considering he’ll be paid somewhere around half that sum, he’s an extremely appealing commodity. The debatable question is whether that surplus value is great enough for the Mets to both part with prospects and take on some negative value at the back of Cano’s deal. Obviously, both Kelenic and Dunn are exponentially more affordable than they’d be in an open-market setting themselves, and the Mariners feel that long-term value, paired with the subtraction of a huge financial burden in the form of Cano, are worth surrendering one of the game’s better young arms. There’s no clearly correct answer in that subjective debate. In the end, the Mets feel the up-front value of Diaz’s electric repertoire and the remaining productivity Cano has to offer are the more valuable asset. That, in fact, is perhaps the most important takeaway from the entire scenario. While much of the summer was spent wondering whether the disappointing and dysfunctional Mets would trade Jacob deGrom, Noah Syndergaard and others — thus embarking on a rebuild like the ones the Mariners have begun — the addition of Cano and Diaz at a premium price firmly suggests that Van Wagenen and the Mets’ staff are unabashedly in “win-now” mode. Trade rumblings surrounding Syndergaard persist, though it’s clear that if he’s to be moved in a trade, it would need to be a deal that netted immediate MLB help at another position of need. The Mets are in for a highly active winter, and the organization seems fully committed to keeping up with the emerging threats in Atlanta and Philadelphia, as well as the near-perennial postseason contenders in D.C. The Mariners entered the offseason with a bloated payroll and an aging roster, but they did so on the heels of an 89-win campaign that saw them firmly in contention for a postseason spot for much of the season. Dipoto and his staff, though, were undoubtedly cognizant of the team’s glaring run differential (-34 at season’s end). Mariners decision-makers were surely aware that there was a fair bit of good fortune that contributed to their sterling record for much of the season. While that reality and a bloated payroll initially led to comments about “re-imagining” the roster in Seattle, the M’s have instead taken a more drastic approach. It’s a credit to Dipoto and his staff, in some regards, that the team has managed to shed upwards of $100MM in salary obligations (including the projected arbitration payouts for Colome, Paxton and Zunino while also accounting for the contracts they’re reportedly taking back in today’s trades). And, while they’ve stripped away a number of fan favorites and productive veterans from the roster, they’ve also added a significant amount of MLB-ready talent that could soften the blow immediately. Mallex Smith and Omar Narvaez will be regulars on the 2019 roster, while pitching prospects Justus Sheffield and Erik Swanson should both factor into the 2019 rotation at some point (possibly from Opening Day, in Sheffield’s case). Bautista, acquired in return for Cano and Diaz, will be given an opportunity to claim a bullpen spot. Bautista, 23, averaged 96.9 mph on his fastball in an exceptionally brief MLB debut this past season (4 1/3 innings) and has averaged better than 12 strikeouts per nine innings since the Mets acquired him from the Red Sox in 2017’s Addison Reed trade. And that doesn’t yet factor in the addition of Bruce and Swarzak — two veterans who, while acquired more to offset Cano’s salary than anything, are only a year removed from productive big league seasons that resulted in multi-year guarantees in free agency. While it’s eminently possible, if not probable, that the Mariners will look to trade both, it’s also at least possible that either could simply suit up in Seattle this coming season and perhaps enjoy a rebound. Bruce could unseat Ben Gamel in left field, and the Mariners’ relief corps is rife with uncertainty at present, creating an easy path for Swarzak to work toward reestablishing himself. Of course, for the Mariners, this trade is primarily about the opportunity to not only add a pair of recent first-round picks in Kelenic (2018) and Dunn (2016) but also simultaneously jettison half the remaining money owed to Cano (for his age-36 through age-40 seasons). That contract was signed under the Mariners’ previous front-office regime and was likely never something Dipoto’s group was excited about inheriting. And Kelenic and Dunn will add a pair of interesting young talents to a farm system that had previously been regarded as one of the weakest in the game — if not the absolute worst. Just 19 years of age, Kelenic was selected with the sixth overall pick just under six months ago. At one point, the Wisconsin native was tabbed as a potential No. 1 overall pick, and he’s done nothing to dispel the notion that he was a worthy top 10 overall selection since signing. In his brief time with the Mets, Kelenic hit .286/.371/.468 with six homers, 10 doubles, six triples and 15 stolen bases (in 16 tries) across two minor league affiliates. Scouting reports agree that Kelenic has the potential to be average or better in center field, and he’s already ranked comfortably within the game’s Top 100 prospects by MLB.com and Fangraphs. Dunn, who turned 23 in late September, tore through Class-A Advanced opposition in 45 2/3 innings this season, posting a 2.36 ERA with 10.1 K/9, 3.0 BB/9, 0.39 HR/9 and a 39.3 percent ground-ball rate. His ERA jumped to 4.22 in 89 2/3 innings of Double-A ball, but he averaged 10.5 strikeouts and 0.7 home runs per nine innings pitched at that more advanced level — all while seeing his ground-ball rate improve to 45.1 percent. Dunn did average 3.7 walks per nine innings in Double-A, so there’s some work to do on his control, but he’ll instantly become one of the Mariners’ more intriguing pitching prospects. In the end, the Cano/Diaz blockbuster, while fascinating, is impossible to accurately judge at present. While everyone will surely formulate his or own opinion of the deal as presently constructed, there are too many trickle-down effects that will prove critical when looking back at the deal down the line. Can the Mariners further unload some of the money owed to Bruce and/or Swarzak? Will either rebound? Is Kelenic a star in the making or one of the countless drops in the bucket of “what could have been”? Will Mets ownership finally give its baseball ops staff the resources commensurate with the team’s market size, or will the addition of Cano’s contract prove prohibitive when pursuing additional win-now maneuvers? All of these will factor into the calculus of this trade when looking back on it six months, a year and five years from now. What’s immediately clear is that this is a legitimately franchise-altering transaction for both organizations — and it’s unlikely that either is anywhere near finished with its offseason roster shuffling. SNY’s Andy Martino reported last week that the Mets were being “aggressive” on Cano. Yahoo’s Jeff Passan tweeted that there was “significant momentum” toward a trade that would send Cano and Diaz to the Mets (Twitter links). Ken Rosenthal of The Athletic reported that Kelenic and Dunn were being discussed and that an agreement between the two teams was close (Twitter links). Martino tweeted details on the package, reporting that Bruce, Swarzak, Kelenic and Dunn would be in the deal, and Bautista could be the fifth player. Joel Sherman of the New York Post confirmed Bautista’s inclusion. Passan added further clarity on the financial component of the trade (via Twitter), while MLB.com’s Jon Morosi tweeted that Cano had officially waived his no-trade clause. Fancred’s Jon Heyman tweeted the exact package, including the money changing hands. Dec. 3: The trade is official, tweets Passan. The two sides will make an announcement today, it seems. Dec. 1, 8:49pm: Cano has indeed waived his no-trade clause, per Morosi. It’ll be Cano, Diaz and $20MM for Bruce, Swarzak, Kelenic, Dunn and Bautista, Heyman tweets. The trade will save the Mariners approximately $64MM, Johns notes on Twitter. It should become official “late Monday,” Sherman reports. 8:10pm: A deal is in place, pending physicals, Tenchy Rodriguez of ESPN Deportes Radio reports (Twitter link via Jon Morosi of MLB.com). The trade could be announced as early as Monday, Martino tweets. Nov. 30, 6:24pm: The Mariners are only expected to chip in something in the mid-$20MM range to cover Cano’s salary, per Passan (via Twitter). Seattle will still be absorbing the two significant contracts, of course, but it seems the New York org will be paying for about half of Cano’s contract (while also presumptively paying Diaz in arbitration). Meanwhile, there’s still work to be done on the deal, which Joel Sherman of the New York Post tweets will not be concluded this evening. 8:15am: The Mets and Mariners aren’t expected to formally announce anything today, Heyman tweets. That said, Newsday’s David Lennon suggests that the parameters of the deal are largely believed to be in place, so the lack of a Friday announcement doesn’t indicate that there’s any kind of snag in the deal. Nov. 29, 11:56pm: Bautista would indeed be the fifth piece going to Seattle in the deal, as currently constructed, Sherman tweets. 11:30pm: McNeil will not be included in the trade if it is ultimately completed, per Sherman. Instead, he tweets that the Mets will send Kelenic, Dunn, Bruce, Swarzak and another reliever to the Mariners. Notably, Sherman reports that medical info has still yet to be reviewed, and Cano has yet to waive his no-trade clause (though there’s no expectation that he’ll veto a trade that would send him back to New York City). 10:15pm: It seems that the two sides haven’t quite finalized the group of players who’d head to Seattle in the deal. Martino tweets that the Mets are still “hesitant” to include McNeil and are currently proposing right-hander Gerson Bautista in addition to Kelenic, Dunn, Bruce and Swarzak. Obviously, that’d be a fairly substantial change to the deal’s perception; Bautista is a flamethrowing young righty with upside, but he’s yet to find success in the Majors or even the upper minors. McNeil, meanwhile, looked like a potential big league regular in his rookie season with the Mets this past season. Puma had previously tweeted that McNeil wasn’t in the trade as of yesterday, though there’s “some thought that may have changed today,” so it seems as if the organization could be on the fence about whether to ultimately include the promising 26-year-old. 8:40pm: The trade is “expected to be completed by Friday,” tweets Passan. He further clarifies that it’s not yet clear how much money the Mariners would send to the Mets to help offset Cano’s remaining contract. Sending Bruce and Swarzak to Seattle would effectively leave the Mets on the hook for $86MM of Cano’s salary, and it seems fair to expect that Seattle would add some additional cash to help further offset the financial commitment to Cano. Mike Puma of the New York Post tweets that things have advanced to the point where the Mets have begun to formally alert players to the fact that they’re in a deal that is on the verge of completion (albeit not yet 100 percent complete). 8:08pm: The offer on the table, at present, would see McNeil, Kelenic, Dunn, Bruce and Swarzak all head to Seattle in exchange for Cano and Diaz, tweets Martino. He cautions that the two sides have not yet reviewed medical information on the players involved, which always has the potential to throw a wrench into trade negotiations. Heyman tweets that a combination of those names is on the table. 7:11pm: A trade involving Diaz and Cano is close to being agreed upon, tweets Rosenthal. 6:33pm: Sherman tweets that the talks between the two sides are indeed intensifying, adding that the Mariners are now focused on the Mets rather than any other potential trade partners. Both Bruce and Swarzak could be included as a means of helping to offset Cano’s salary, and there are plenty of details to be sorted out, including medical reports and Cano’s no-trade clause. 5:40pm: Talks between the Mariners and Mets are reaching a “critical stage,” tweets Rosenthal. He notes that New York’s offer to Seattle includes some combination (but not all) of Kelenic, Dunn, McNeil, Bruce and Swarzak. That latter pair of names would seemingly be more about offsetting salary than anything else, while the first three are all well-regarded young players who’d provide the Mariners organization with a substantial amount of long-term value. Meanwhile, MLB.com’s Greg Johns tweets that talks are indeed accelerating. A deal seems quite likely, per Johns, though the specific names involved are still being sorted out. 5:15pm: The Mariners are talking to multiple clubs about Cano, Diaz and shortstop Jean Segura, Rosenthal tweets. Those negotiations include myriad scenarios, including combinations of those three players as well as standalone deals for each. Similarly, Sherman adds that the Mets are operating with the belief that they’re one of many clubs in talks with the Mariners as they explore trades for combinations of those three as well as standalone swaps. 1:24pm: The teams have discussed scenarios involving both Cano and Diaz individually, as well as package arrangements, per Martino (via Twitter). 10:13am: “Significant momentum” has built toward a deal that would send high-dollar veteran second baseman Robinson Cano and top-shelf young closer Edwin Diaz from the Mariners to the Mets, according to Jeff Passan of Yahoo Sports (Twitter links). Cano has reportedly not yet been asked to waive his no-trade rights, though Passan adds that is not expected to represent a significant hurdle. Joel Sherman of the New York Post characterizes things somewhat differently in his own series of tweets. His sources indicate that the “Mets do not currently feel like they are close to a deal,” though he also makes clear that the interest is serious. Notably, Sherman suggests that the New York organization still doesn’t have a firm sense of whether the M’s are committed to packaging Cano and Diaz at all. Indeed, indications are that the Seattle org is still engaged with other clubs. Obviously, the full parameters of this potential swap have yet to be revealed in full. And it’s hardly a done deal. But some chatter about other pieces has emerged as well. Recent first-round draft picks Jarred Kelenic and Justin Dunn are “under discussion” along with other pre-MLB assets, per Ken Rosenthal of The Athletic (Twitter link). Youngster David Peterson is also in the conversation, Jon Heyman of Fancred tweets. It’s important to emphasize that there is no specific indication that any or all of these young players is involved in a specific, fully built out scenario that the two organizations are deciding upon. Rather, per Heyman, the sides are tossing around different deal structures, with the Mariners demanding prospect value if they’re to part with Diaz. Cano is already 36 years of age, and sat out half the 2018 campaign due to a suspension for use of a masking agent, so the five years left on his deal are hardly an appealing proposition. But he’s also still a high-quality major-leaguer. Diaz, meanwhile, is unquestionably the top relief asset that could be had on this winter’s market. Though the aforementioned Kimbrel is an immensely accomplished closer who’s presently available in free agency, Diaz handily outperformed him last year. More importantly, he has the clear edge in youth and cost. Unquestionably, quite a bit more will be involved in any actual trade than the two players rumored to this point. The Mariners will in all likelihood hold on to some of Cano’s contract and/or absorb a Mets contract in return. And the New York club will surely send back some talent. Those details will determine the ultimate merits of the swap for each club. We’ll have to wait to learn the details, if anything is actually concluded. But it seems clear even from these reports of intense interest that the Mets are not only chasing the elite young closer, but see an opportunity to capture a some value from Cano, whose contract new GM Brodie Van Wagenen negotiated in his prior life as an agent. The long-time star is clearly not in his prime, but he still hit quite a bit when he wasn’t on the restricted list last year. Presumably, he’d step in at his accustomed second base, a position he can still handle (albeit not at his once-elite levels). Adding Cano at second would dislodge Jeff McNeil, who emerged last year with an outstanding debut showing. The Mets would still have other options to shift around their infield pieces. It could also be that McNeil would move in the trade. He has appeared in the conversation between the organizations, MLB.com’s Jonathan Mayo tweets. McNeil already 26 years of age and only just debuted in the majors in 2018, but was one of the most pleasant surprises league-wide in the just-completed campaign. He not only showed off his typically excellent plate discipline, but turned in a notable power surge (as against his prior minor-league track record) and then slashed a hefty .329/.381/.471 in 248 big league plate appearances. The full potential ramifications, clearly, would depend upon as-yet-unknown specifics. That’s due in no small part to the still-unknown slate of prospects that could be involved and, even more importantly from a MLB roster perspective, the contracts that could head the other way. We’ve heard Jay Bruce’s name thrown around quite a bit as a potential big contract to go to Seattle. Perhaps Juan Lagares would hold more appeal to the M’s, as a defensive stalwart who seems to fit the mold of player that Mariners GM Jerry Dipoto often targets, though he’s not owed as much. Todd Frazier, Jason Vargas, and Anthony Swarzak are among the other costly veteran pieces who could in theory be utilized to facilitate a swap. The blockbuster seven-player trade between the Mets and Mariners is on the verge of being finalized, and an official announcement could come as early as Monday. Since the initial news about this trade first began to break last Thursday, however, there has already been quite a bit of discussion from various pundits about what this major swap means for both franchises. Here’s the round-up of some of the many takes on the trade, which reportedly consists of Robinson Cano, Edwin Diaz, and $20MM in cash considerations going to the Mets, while the Mariners receive Jay Bruce, Anthony Swarzak, former first-round draft picks Jarred Kelenic and Justin Dunn, and righty pitching prospect Gerson Bautista. As noted by both The Athletic’s Tim Britton and ESPN.com’s Buster Olney (subscriptions required for both), the Mets paid a hefty price to upgrade themselves at second base and closer during an offseason when several other options at both positions were available in free agency at a lower cost. Olney suggests that New York could’ve kept Jeff McNeil at second base and signed a closer like David Robertson or Jeurys Familia, which would’ve kept Kelenic/Dunn/Bautista in the farm system and left more money for the Mets to spend on other needs. “Given the particulars of the trade and the market context, the core question for the Mets in this deal is this: Do they think the quality difference in 70 innings of Diaz vs. 70 innings of a Robertson or Jeurys Familia is worth taking on $60MM of Cano money and swapping two of their top 10 prospects,” Olney asks. More than one rival evaluator mentioned to Olney that while Diaz is controllable for four years, Diaz’s large save totals will give him a costly arbitration price tag right away when he first becomes arb-eligible next winter. The Mets also could’ve given up less prospect depth, Britton observes, by taking on more of Cano’s salary. Regardless, the trade is hard to properly evaluate until we see how “the money saved in this move gets reinvested in the major league roster,” as Britton puts it. More moves are definitely necessary for the Mets, ESPN.com’s Keith Law opines (subscription required), since Cano and Diaz alone won’t turn New York into a contender. That’s even assuming Cano and Diaz continue to produce as they did in 2018, which is no guarantee given Cano’s age and the general year-to-year volatility of many relievers, even arms as dominant as Diaz was last season. “This had to be Mets fans’ worst nightmare: The owners, who seemingly can’t stop meddling in baseball operations, would hire someone as GM who’d short-circuit the ongoing rebuilding of the farm system in pursuit of short-term wins,” Law writes. He also gives his take on the three youngsters heading to Seattle, and believes the Mariners are doing a good job of adding talent to a minor league pipeline that was very short on premium prospects. Brodie Van Wagenen came into the Mets’ GM job intent on building a contender for 2019, and his pursuit of this goal has drawn praise from USA Today’s Bob Nightengale, who contrasts Van Wagenen’s plans with the now-common occurrence of a new general manager immediately beginning a rebuild upon taking a job. The Cano trade is “the kind of bold, daring move that used to dominate the baseball landscape, before GMs were more worried about preserving their job security than taking risks….Imagine, a team actually spending money, taking a genuine risk, and trying to win a World Series without worrying about hoarding prospects,” Nightengale writes. In regards to Cano’s ability to stay productive into his late 30’s and early 40’s, Nightengale adds the interesting observation that a DH role could still be in his future, should the National League adopt a designated hitter in the next collective bargaining agreement (the current CBA ends after the 2021 season). The Athletic’s Jim Bowden (subscription required) grades the deal as a B for the Mariners and a C for the Mets, noting that Seattle looks to be the long-term winner if Kelenic and Dunn develop into quality big league regulars. This deal, and the trades of James Paxton and Mike Zunino earlier this offseason, netted eight new minor leaguers for the Mariners, or $78MM in asset value to Seattle’s farm system, Fangraphs’ Eric Longenhagen calculates (based on the prospect valuation system used by Fangraphs’ Craig Edwards). The M’s previously ranked at the bottom of these prospect value rankings, though their moves have now moved them to around the middle of the pack, with Longenhagen’s caveat that this rating could certainly fluctuate based on what the Mariners or other teams do in the rest of the offseason.